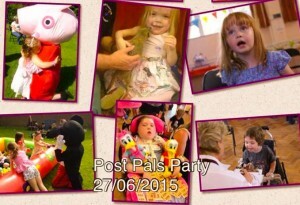 We have lots happening at our animal themed party. There will be entertainment for all ages and abilities including face painting, a huge jungle slide, ball pool, bouncy castle, funky hair (have your hair done in a cool style, have colour, glitter or clips added), a great children’s entertainer to kick things off and so much more. Not only will you get to meet other families but Peppa Pig, Minnie and Mickey Mouse will be dropping in too. The pig and mice aren’t the only animals you will meet though as Ben is returning from last year with an even bigger range of animals to learn about, stroke, watch fly, feed and hold. Last year all the animals were loved but the baby meerkats and Python were a huge hit! Next door is a bigger hall with playing fields which has Village Day on, this isn’t us! We have a gate to our car park and will have a big Postman Pat balloon out and ‘Party here’ banner. The forecast for the day is currently dry but we have activities for fun in all weathers. There is no internet at the hall so if you need to make contact on the day please text or ring Vikki on 07748 697475 or Steve on 07795 564006. Please note these numbers are just for contact on party days and not general Post Pal phone numbers.